This past semester I had the privilege of teaching a short 6-week seminar at Columbia’s GSAPP. The class is called Managing Complexity and the core objective is to expose students to the world of collaborative design using a core technology as the venue. In the first go at this class, I decided to use CATIA vr20. There were two main drivers behind this decision: first, the old solid modeling concept of parts and assemblies as a federated model is SUPER clear and a good step in the right direction from what they already know in linking and worksessions in Rhino. Second, I think having architects be exposed to a structured modeling process like this is a good mental exercise since it forces them to think methodically. The class focused on exposing students to real world applications of multi-author models in Catia, Revit and Navisworks. I showed a couple of projects and explained how different scopes within a building are being modeled not just by different people, but by completely different companies that can easily be thousands of miles apart, yet are completely dependent on one another. The first step was to help them further understand the concept of BIM. They all had experience with the tools that support BIM processes, but few, if any, had participated in a BIM process. Although this was super light and we only had 6 weeks, the core objective of the class was to have them experience BIM through the lens of plural authorship and collaboration. Most student’s except for one or two, had no experience with Catia either. They formed groups of two to three and selected a project to model collectively. I wanted them to work on a built project. I also wanted them to pick something that would leverage the tool that was being used and further expose them to the concept of ‘best tool for the job’. I also wanted a fairly high level of detail on the models. For these reasons then, I suggested a few projects by well known architects that were NOT buildings. 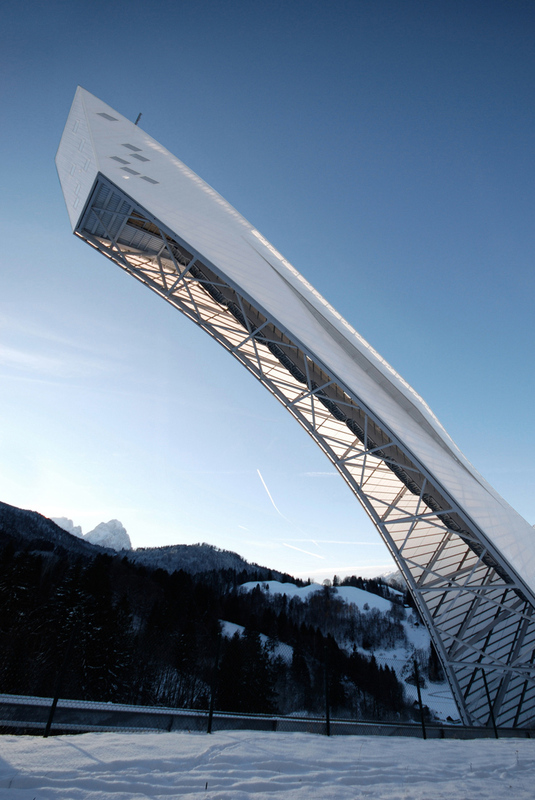 I selected three foot bridges and two ski jumps. These structures are very interesting to me. They are not like buildings in that they do not necessarily have levels, or are enclosed…But they are also big custom fabrication jobs, which makes them ideal candidates for a good solid model. 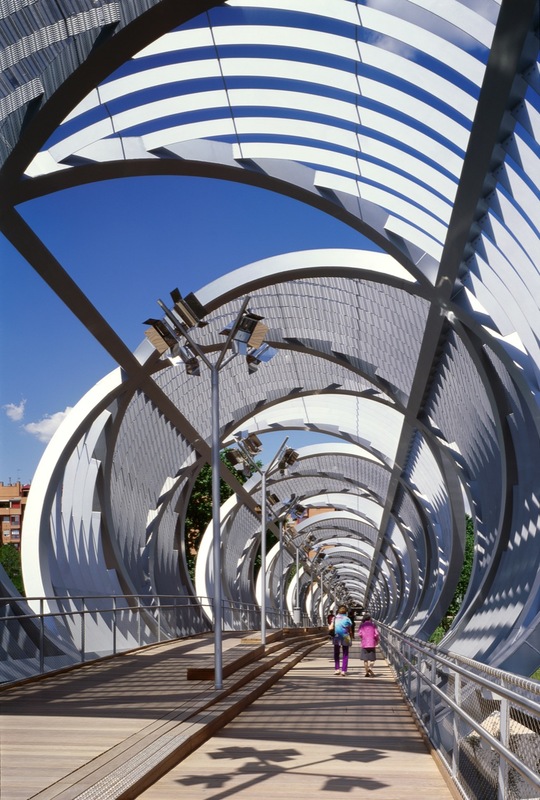 A tool like Revit could be used to model a bridge like one of these, but you would have to be an advanced user willing to deal with tons of workarounds in order to get ther. Again, picking the best tool for the job was part of the lesson. Catia or Inventor would do just fine. 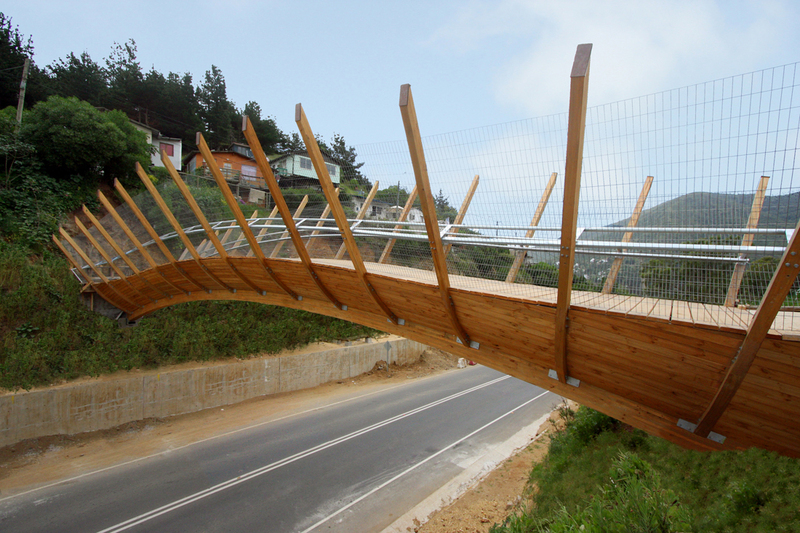 I took on the modeling of the Zapallar Pedestrian Bridge by Enrique Brown (Chile), a personal favorite. I used this bridge to walk them through the process. We ended up with three teams in groups of at least two. 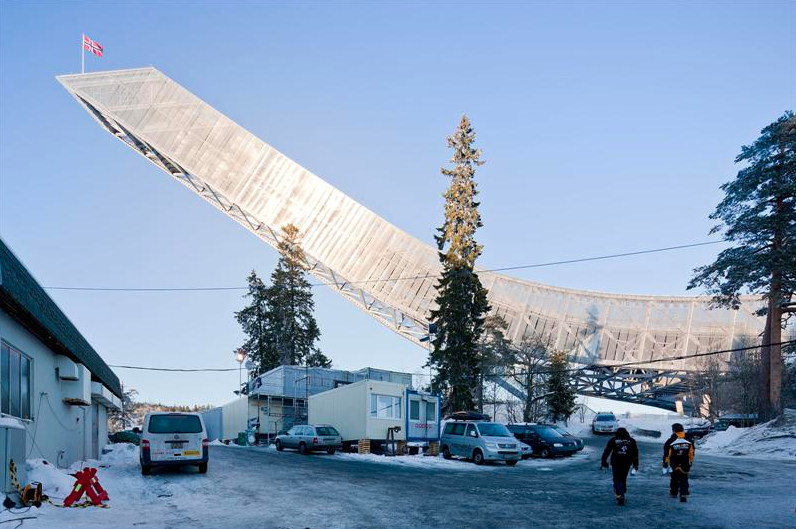 A technical objective was to make sure that they used a structure that used Generative Shape Design, Part Design, Assembly Design workbenches as a basis. Too often people ignore proper model structures and end up building a whole assembly within a single part. There are many downfalls for this but I won’t get into that here. The main objective here was plural authorship which by definition would require them to collaborate and work on different pieces which would later be brought together. Here are some images of the final projects. All in all, I was very happy to see the results. We had some great successes with the modeling concepts and we even had some successes with the concept of plural authorship. Next time I’ll try to harp on this a bit more. Out of three teams, we only had one team that worked together well but never got to assembling their files together. All could’ve split their files up further into parts to create a truer assembly. In general though, it was a great class. Congrats guys. 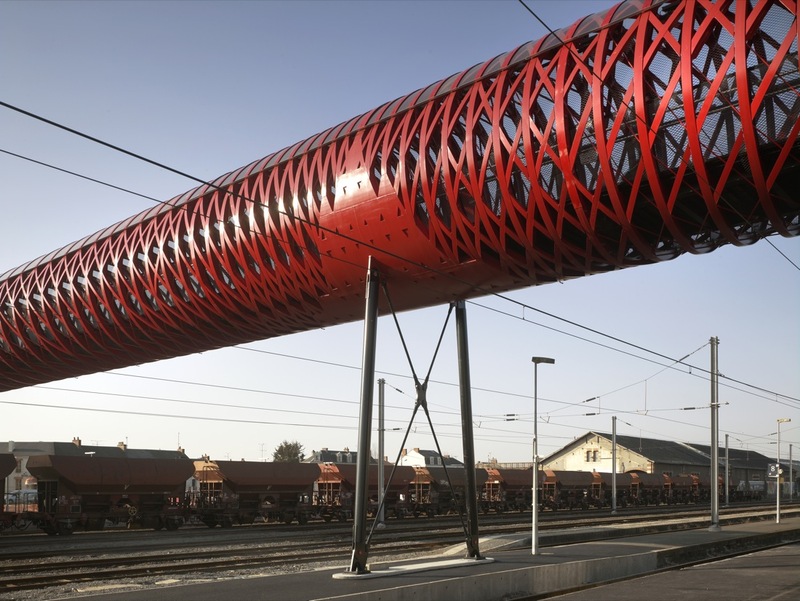 This is a repost from our Practice 2.0 column on ArchDaily (original here). Originally posted on June 15, 2011. Earlier this year I had the following experience. Two friends, the first a lone (and successful) entrepreneur whose company brings kids books to the iPad, the other a banker, both asked what I knew about 3D printing… on the same day! What was going on? Where did the sudden interest in 3D printing come from? 3D printers had been a staple in architecture schools and many offices for years, so I assumed everyone knew about them, no? Confused, I did what I usually do when faced with the unknown. I asked Google. The Maker Movement had gone mainstream. So what does this have to do with Architects? Well, architects and architecture schools have actually been very quick to embrace the concepts and technologies surrounding digital prototyping, and have adapted their curriculums accordingly (not all of course, but many). The reasons for this tend to vary depending on who you ask, but there is certainly no shortage of additive or subtractive processes in design exploration today both within schools and without. Many schools tout incredibly sophisticated shops, and even use them as a recruiting tool. ARCHITECT magazine even has a ranking of the best US schools for those interested in Digital Fabrication with Ball State University sitting at the top mainly due to its Institute for Digital Fabrication, followed by SciArc and the University of Michigan. This has made architectural education incredibly well adjusted to both participate and take a leading role in the maker movement. The second, and probably more interesting force, is the boom in open source technologies that have pushed the barrier to entry down even further and have expanded access to a much larger user base. 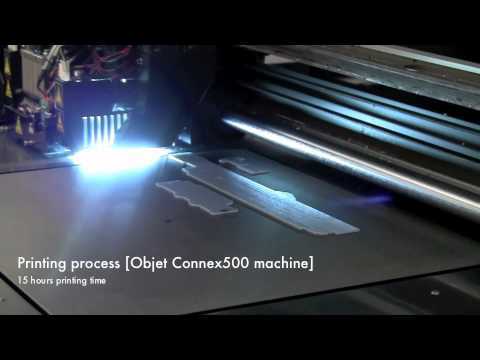 Lumenlab offers a desktop CNC for under 2k. You can even find open hardware projects on Kickstarter that will send you kits to build your own CNCs for less than $500, not to mention Makerbot‘s success with its popular open source 3D printer, which has taken its founder, Bre Pettis, all the way to the Colbert Report. With economic barriers being lowered every day (or having already hit bottom), the missing ingredient seems to be general widespread access to good design, good models, and good engineering. It is in this missing ingredient that we, as architects, should see the most potential for impact. Sites like Shapeways, i.materialize and Ponoko are trying to attack this problem directly by connecting consumers with designers and fabricators more efficiently, but focus more on consumer goods. GrabCad is a good model for us since it is both industry specific and highly technical. Is there an opportunity for a building industry equivalent? Current technology trends like building information modeling (BIM), parametric modeling, fabrication modeling and energy modeling coupled with the architect’s natural tendencies toward ‘making’ are coming together to create highly valued professionals with highly relevant skill sets. These professionals have the opportunity for great impact, helping expand the value of the services and products we offer and reshape our industry in the process (see previous post).